The 2016 presidential race has focused unprecedented attention on the charity and philanthropy of the candidates. Both Hillary Clinton and Donald Trump started charitable foundations many years ago that continue in operation today. Unfortunately for the nonprofit sector and those who advocate for its beneficiaries, most of the stories printed about both foundations have been negative, not only injuring the reputations of the foundations and their founders, but also harming the credibility of the nonprofit sector as a whole. Both Clinton and Trump have been accused of using “their” foundations for personal gain in violation of their fiduciary duty and, in some cases, in potential violation of state and/or federal law. Both candidates have placed family members and close confidantes in foundation leadership positions. Both candidates and their foundations have resisted media inquiries and left significant questions about foundation operations and governance unanswered. Whether one foundation or the other is more culpable, more suspect, or more dangerous to civil society is a question with an answer usually heavily influenced by one’s political leanings. Trump supporters, Republicans, and conspiracy theorists point to the Clinton Foundation’s large size, complex structure of interrelated yet independently organized nonprofits and for-profit corporations, network of wealthy donors which includes multimillionaires, billionaires, transnational corporations, and many foreign governments, and the correlation of Clinton Foundation projects with support of Bill and Hillary Clinton in their private careers. Clinton supporters rail against the Trump Foundation’s haphazard and poorly documented support of charities, its having collected other people’s money while Donald Trump himself hasn’t given anything since 2009, the federal penalty paid for sending a $25,000 check to support the legal defense fund of the Florida Attorney General, purchase of at least one charitable auction item (possibly three or more) by the foundation that Trump used personally, and generally poor foundation administration and record-keeping which might be either lackadaisical or intentional. One key difference between the two foundations is that while both are tax exempt under Section 501(c)(3) of the IRS Code, the Trump Foundation is a private foundation and the Clinton Foundation is a public charity. The distinction is important because IRS regulations governing private foundations are generally stricter than those applicable to public charities. The reason is that, usually, private foundations receive their support from a small group of people (e.g., an individual or family) and are more susceptible to poor governance and breaches of fiduciary duty than public charities, which receive support from broader sources and are more likely to have broader independent representation in leadership. In some important ways, it’s easier to follow the dealings of the Trump Foundation because it’s a private foundation. Unlike a public charity, it is required to disclose its donors to the public. Also, the corporate structure of the Trump Foundation is simple. There are no related nonprofit or corporate entities, where the Clinton Foundation has several related charities, initiatives, and structures in the U.S. and several other countries—often, but not always, including the Clinton name in their identity. With no paid staff and virtually no claimed overhead, all actions of the Trump Foundation are assumed to be taken under the direction and control of Donald Trump. The Trump Foundation’s annual budget over the past eight years has averaged less than $1 million, while the Clinton Foundation and its related organizational structures have both annual revenue and assets of more than $300 million and employ more than 1,000 people. The two foundations couldn’t be more different when it comes to overhead. As stated, the Trump Foundation has no paid staff. Its only expenses claimed on its Form 990 for 2014 are IRS filing fees and the cost to prepare the Form 990. The Clinton Foundation itself, exclusive of related entities, has $86 million in expenses, only $5 million of which were grants paid. In fact, its professional fundraising expense of $850,000 exceeds the total 2014 Trump Foundation budget. The Clinton Foundation appears to be awash in overhead, while the Trump Foundation is so starved for managerial support that its board appears to desperately need a lesson in what nonprofit sustainability and capacity building are all about. Both perceptions may be deceptive due to how the foundations are managed. The Trump Foundation appears to receive services through the Trump Organization, Donald Trump’s multibillion-dollar for-profit corporation. The Clinton Foundation, on the other hand, has an unusual approach to service delivery. The Clinton Foundation’s primary program service expense is for conferences, conventions, and meetings—items that would be considered overhead for most nonprofits but which are central to the Clinton Foundation’s mission to bring world leaders together to address global needs and secure multiorganizational commitments to meet those needs. Regardless of the value of these conferences, it doesn’t help public perception of charity that these charitable programs and services are delivered in the world’s most luxurious locations with the international intellectual, business, and political elite in attendance. Some have said, based on press reports and tax filings, that the Trump Foundation’s problem is that it doesn’t know what it’s doing. Conversely, the Clinton Foundation suffers from a structure so complex and interwoven that it requires extensive nonprofit tax and legal expertise to operate, resulting in a situation that its managers and advisers know all too well where the boundaries are and how they might be blurred or breached with a minimum of risk. It’s a tale of The Trump Foundation’s iron-fisted approach to fiduciary duty versus a Clinton Foundation velvet-gloved practice of orchestrating a Byzantine bureaucracy where the principals seem to be doing very well for themselves because of, rather than in spite of, their charitable activities. We advocate for neither a partisan condemnation of one candidate’s foundation nor a false equivalence between the structures, missions, and deeds and/or misdeeds of both foundations. As advocates for the nonprofit sector and civil society, we are concerned that these two nonprofits are being served up to the American public as examples of how wealthy and influential people practice philanthropy. Not only are the campaigns and the foundations playing defense in crisis communications mode, but the candidates are consequently deprived of the normal opportunity to discuss their personal commitment to philanthropy and its role in American society. The charges and countercharges against the foundations associated with Hillary Clinton and Donald Trump, along with the alienation of the foundations’ activities from the everyday experiences of typical Americans and typical nonprofits, impose a reputational burden on the sector as a whole. The risk is that public confidence in all nonprofits may be further eroded by current media reports and accusatory political discourse. 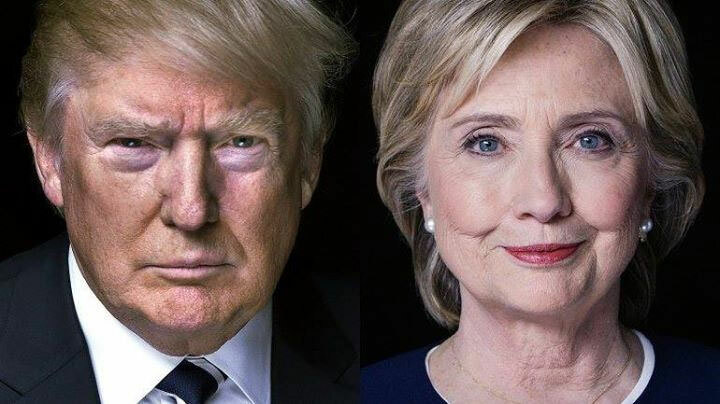 However one views the 2016 presidential candidates and their advisors, the presumption is that they have had access to the best wisdom and the best data available in their strategy and decision-making. It’s probably a surprise to both campaigns how the charities bearing their candidate’s name have become thorny campaign issues. Similarly, it would be reasonable to believe neither of the charities was prepared for both the duration and the intensity of media and public scrutiny associated with their governance and operations. This is a perfect time for all nonprofit leaders to assess their governance, management, record-keeping, and compliance reporting to assure that it is complete, as descriptive and easy to understand as possible, and reflective of infused organization and personal values of public accountability and transparency. What story about a nonprofit will people hear if their source material is limited to what they observe through the media and what they can access through a nonprofit’s regulatory filings? The Chan Zuckerberg Initiative is giving hundreds of millions to schools, but its layers of secrecy as it inserts itself into our public education system is nothing less than deeply anti-democratic.